Propane wall heaters have a lot of benefits to them and fit into most any home. They can put out a lot of heat quickly which is very nice when the weather gets cold. They also do not require any electricity to run and are great for any environment were power is a issue such as a garage. Wall units have the added benefit of being up and out of the way but there are also portable units if needed. There is no doubt many good unit with our picks for best ones below. *This post contains affiliate links which helps to support this site. Dyna-Glo makes many heaters including many good propane wall units. 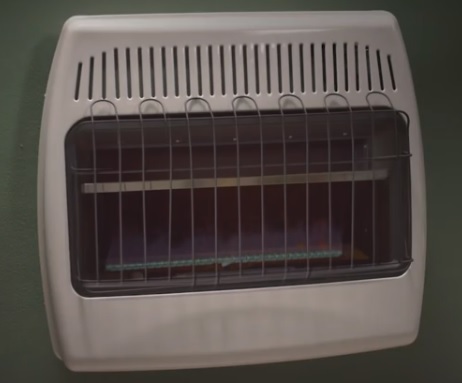 The model BF30PMDG is a 30,000 BTU unit that can heat a space up-to 1,000 square feet. There is also smaller units if need including 10,000 and 20,000 BTU models. It is a vent less unit with a safety oxygen sensor to shut it down if the oxygen levels become too low. Dyna-Glo heaters are popular with a good design and a warm blue flame. 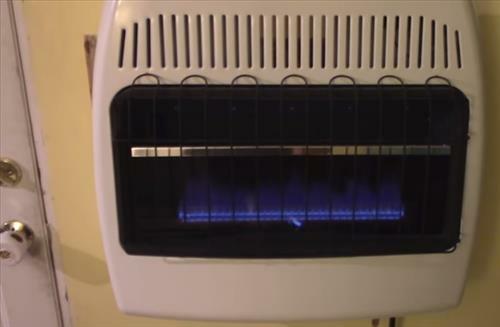 Mr. Heater builds many good heating units and is one of the more popular brands available. This unit is a 30,000 BTU models built to heat a space up-to 750 square feet. It also has an automatic low oxygen shut-off, thermostat, and can be mounted on a wall or setup with legs for a more portable heating solution. This unit from Avenger has a built in thermostat that cycles the burner on and off. It is a 10,000 BTU unit that is one of the smaller propane wall heater but works very well. It mounts onto a wall with a bracket and has 4 screws to hold it in place. The above units are simply some of our picks for good propane wall heaters with many more available. When setting up a unit be sure to read the tank and regulator requirements. Most will need an external gas regulator along with a big tank usually 100 gallon, but again be sure to read a units requirements. Using a propane heater has many benefits since they work very well at putting out lots of heat with no need for electricity. Besides being used in homes they also work well in garages, cabins, mobile homes or most any types of space that needs heating. They are also easy to install and setup. Of course safety should always come first and be sure to call a professional if needed.